As the craft cocktail takes over Los Angeles and every good (and not-so-good) bar in town, there’s one man looking beyond the pecan bitters and ginger-infused beet sugar waters. The name is Wainwright, Ryan Wainwright and he specializes in the age-old martini. 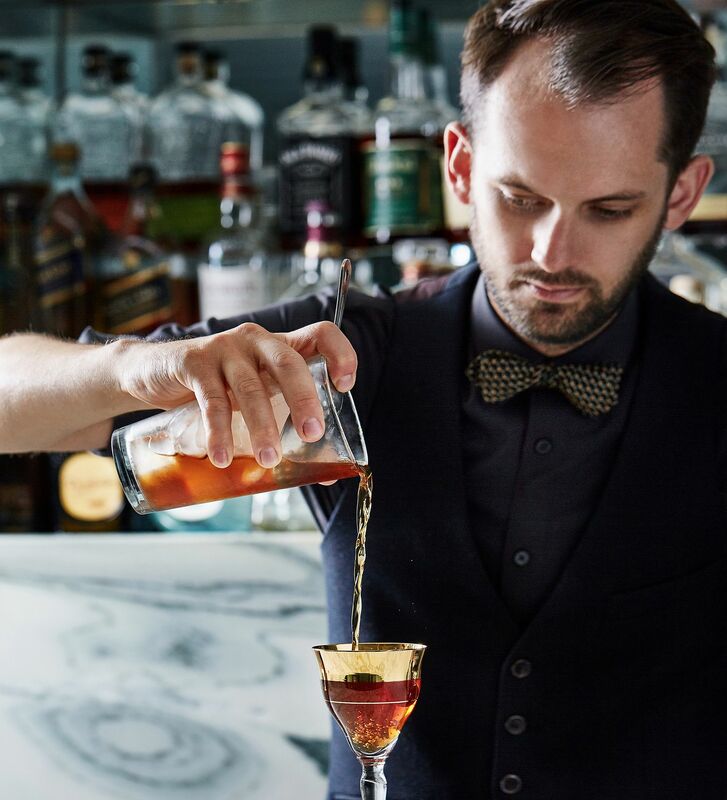 By way of the Bombet Hospitality Group, Ryan oversees the bar programs at LA hotspots Faith & Flower, Viviane, and Terrine, where he redirects the spotlight back to the straightforward classics, and lets spirits shine bright. So, we sought out the mix master himself for some martini guidance and got ourselves a lively tour of LA’s martini scene—which is really an all-night bar crawl. 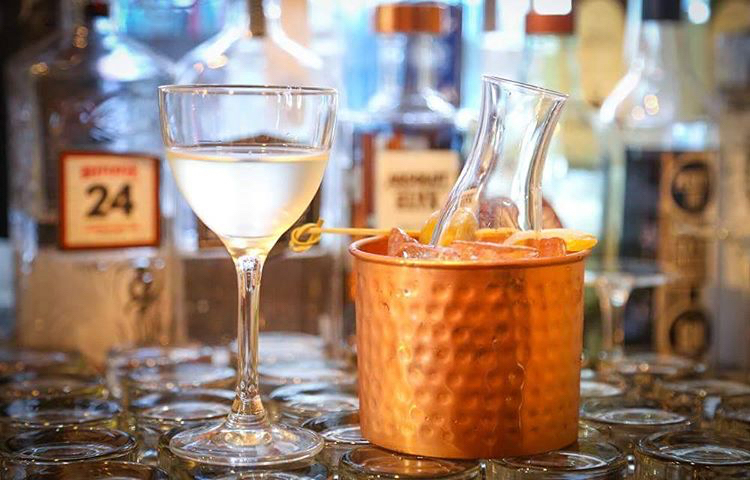 Be it gin, vodka, traditional or downright dirty that you seek, Ryan knows exactly where to get it. Hail the Ubers! Now I know what you’re thinking, he’s going to say one of his own spots, and I am! Right now, however, is the time to go! There is a martini flight through the ages at Viviane and it’s a great history lesson of the martini in liquid form. You get to start with the first published recipe from 1891 when the word “martini” was first used in print. Then you go to what most bar elites think of as the Martini which was actually called the Delmonico Cocktail back in 1914, and then we flash ahead to the 80s and the fabulous Dirty. I would get my sea legs here. Sip a flight of 2 oz. each and then really get a little history lesson of flavor. 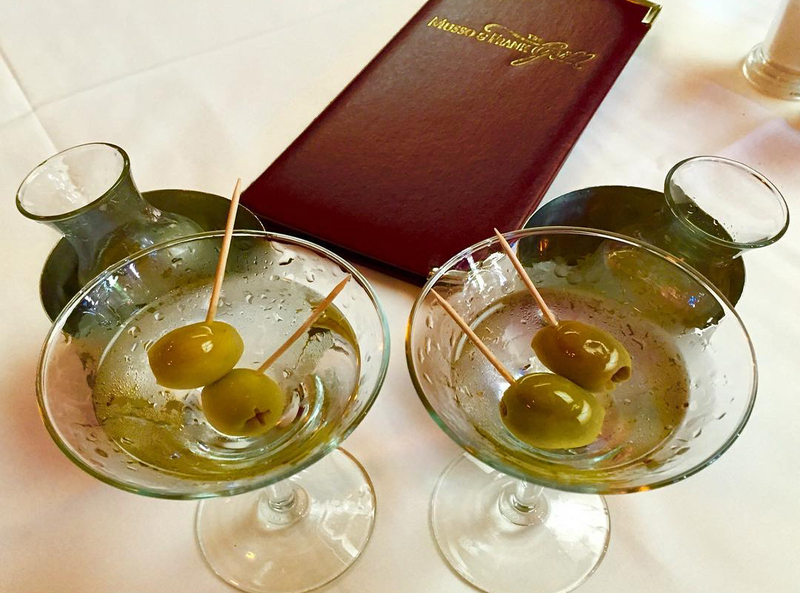 From there I would head to Hollywood and sit before Musso and Frank’s skilled masters of the martini. Manny may be gone, but his skilled hand still guides every motion behind this fabulous bar. I personally would go for a gibson over a traditional martini; sit back and see just who you run into. After you’ve taken in all that is the greatness of this space, it’s time to go. Next stop, I would cruise over to Redbird LA and see Tobin and his crew. After having the flight and a Gibson it’s time to get a Low-ABV Reverse Martini. 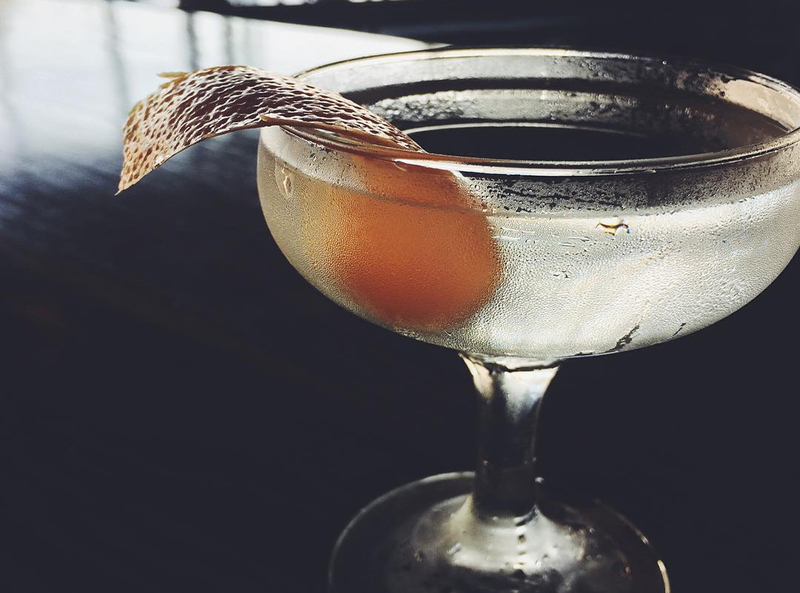 Tobin is a wizard with most things and his martini variation is no exception. I’m not sure if it’s still on the official menu but the balance lingers on in my memory. Like all drinks with few ingredients it’s all about the balance and skill and this drink is no exception. Sip this while you look around and realize that this place rocks and it’s not just the buzz you have going. It’s time to move forward and get to a place where everyone knows your name. It’s time to go see Cari Hah and the Big Bar family. There is no way to talk about the martini and not mention and indulge in the ever popular 50/50. If you want to talk 50/50’s there’s only one person you have to talk to ... me. Just kidding, it’s Cari. She’s long been the proponent of the 50/50 and for good reason. She can stir one up like no other. Don’t ask questions and just let the wonder overtake you. Now that your uber bill has racked up it’s time to head out again. You might be thinking, “Well, what’s still out there that could possibly be any better than what I’ve already had?” Plenty. It’s time to head to The Normandie Club. 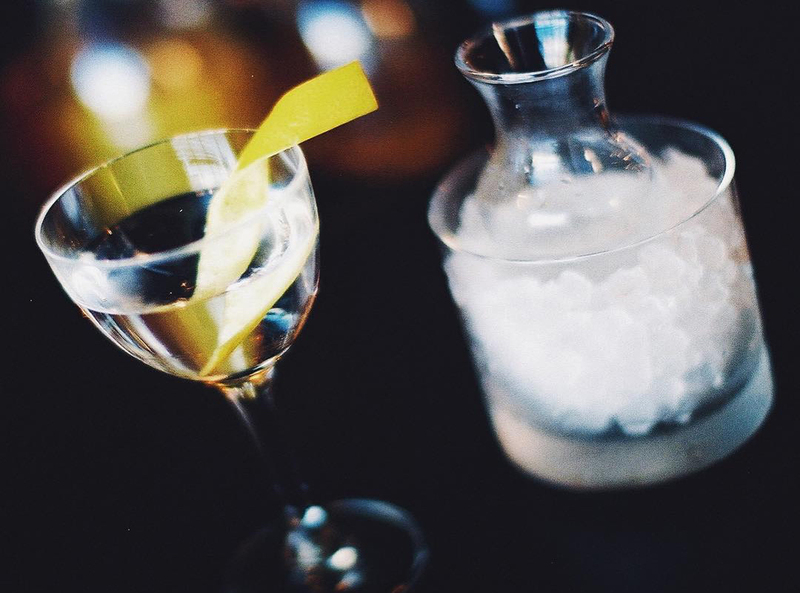 This place is known for a lot of good stuff and you’d be safe ordering pretty much anything on the menu but there’s only one thing we’re here for; the Martini. The addition of Fino Sherry, Honey, and Saline really makes for a killer length and finish. There is nothing quite like it. What’s that? You need one more?? Me too! Time for dessert in the most refined way possible…liquid form. Now if you’re not opposed to it I’d like to take you to Terrine. I know what you’re thinking…another one of yours. I know. I’m not the self-aggrandizing type but let me tell you I’d be remiss if I didn’t tell you that you HAVE to have the Chocolate Martini there. 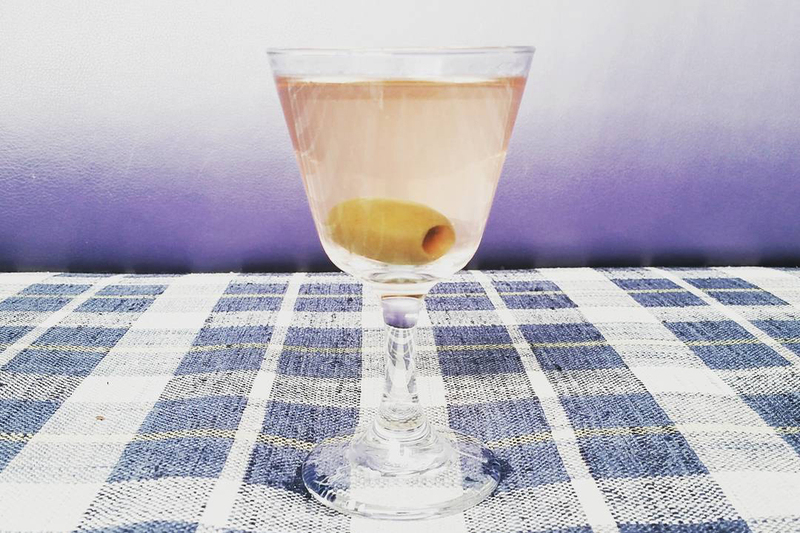 This drink was me, once again, playing around with those proto classics in a way that felt really fun and elegant. You will never taste anything quite like the simplicity and refinement that is this Chocolate Martini. It truly is a cocktail in its basic form. It is the form of a 50/50, it is clear but it is so full of flavor and sophistication. My favorite thing about this drink is watching seasoned bar veterans tell people, “You have to try his chocolate martini”. It’s a tension and confusion that I revel in. Now I assume you’re a bit drunk and you’re feeling the need to end the night right. It’s time to end it with one last Martini done right. Being as I live on the Westside and I want my uber to be heading in that direction it’s time to go see ol’ Beau du Bois and his crafty team at The Corner Door. I will never forget the first time I met Beau. He didn’t know who I was and I didn’t know who he was. We were two bartenders and he made the fateful mistake of asking me what I wanted. I looked right at him and said that all I really want right now is a really damn good Martini. He asked me a few more questions and then appeared with something I feared; a Martini. Now if you don’t know why I feared it than you have never gone to a bar and asked for a Martini. Long ago I gave up ordering them at restaurants. Long ago I gave up ever trying. But let’s not sidetrack ourselves because I took one sip and turned to my girlfriend and said…that’s a damn good Martini. I have been his ever since. I don’t even know if he knows that story but there is no better spot to finish off the night. Go into Corner Door and ask them for a damn good Martini. You won’t regret it. Contemporary Korean BBQ spot for grilled meats, seafood & hot & cold soups in a buzzy, sleek space. Innovative New American dishes are paired with creative cocktails & a snazzy, historic setting. Seasonal American bistro for inventive chow, grilled cheese & cocktails in sleek brick & wood digs. Big Bear City is an unincorporated town in San Bernardino County, California, United States along the east shore of Big Bear Lake and surrounded by the San Bernardino National Forest. Kelly Wearstler–designed eatery in the Avalon Hotel cooking continental fare with French techniques. Traditional French cuisine is served in a fresh space complete with a stunning dining patio. Waiters serve classic American fare & martinis to diners in red booths at Hollywood's oldest eatery.